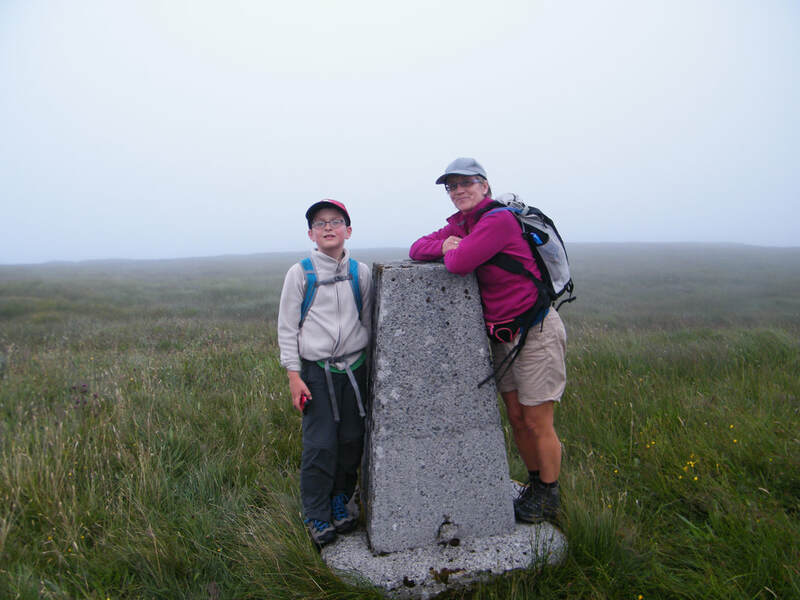 Patrick O’Brien tells us about a recent 4 High Point adventure with his son Dillon and sister Josephine in County Clare. The Munster Fleadh Cheoil brought us to Ennis for the weekend but Dillon and I had other plans for the Saturday. Josephine joined us for a blitz of Clare High Points. 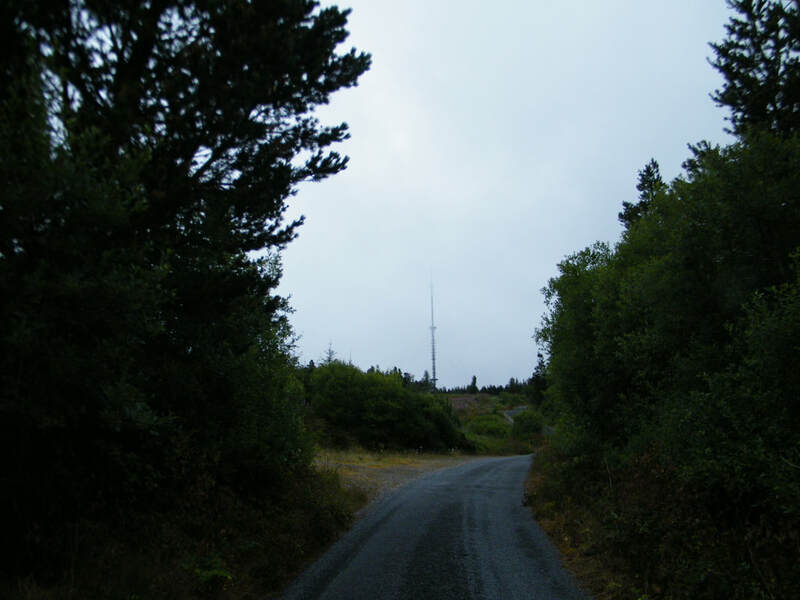 Starting off with Maghera, Gribbon number 98 and the highest point in the Slieve Aughty Mountains West, we set off for the 400m High Point from the gates of the mast maintenance road on the R462. The road was well surfaced and was an easy walk to the top where the mast and mast compound dominated the summit. 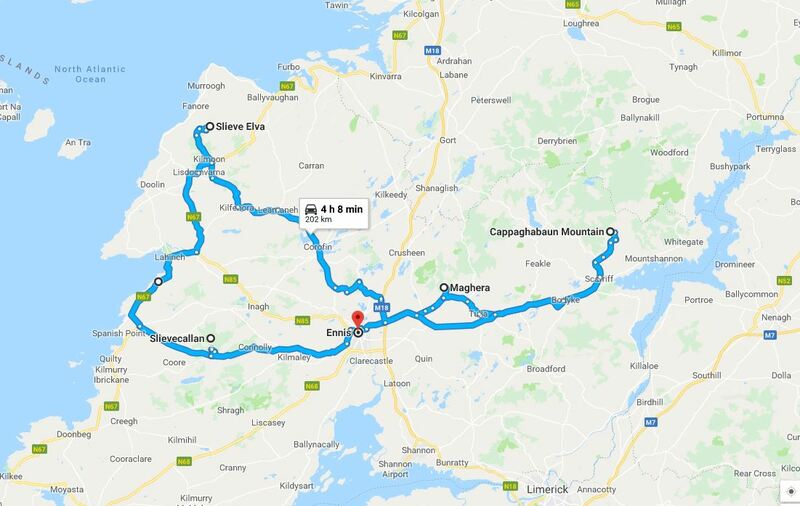 We took in the views of the near and distant mountains, Tountinna, Keeper Hill, Moylussa, and even the Galty’s along with Lough Derg and the Shannon Estuary. Next up was Cappaghabaun Mountain East, the highest point in the Slieve Aughty Mountains East, a 378m hill surrounded by bogland. Due to the dry weather, we were lucky that we could walk across the bog with ease to the trig pillar. Great views again of Maghera, Tountinna, Keeper Hill, Moylussa and Lough Derg. A wasp infestation at the trig pillar meant we didn’t hang around. Returning to the car again we had to head towards Ennis and on to a beautiful drive through Corofin, Kilinaboy, Kilfenora and Lisdoonvarna to the start point for Slieve Elva at a farm entrance on a small road just off the N67. There was a lay by to park in and we walked through a gate noting the faint writing on one pier “Slieve Elva”. Initially the walk was on a gravel road through the farmyard and up beside a small forest. 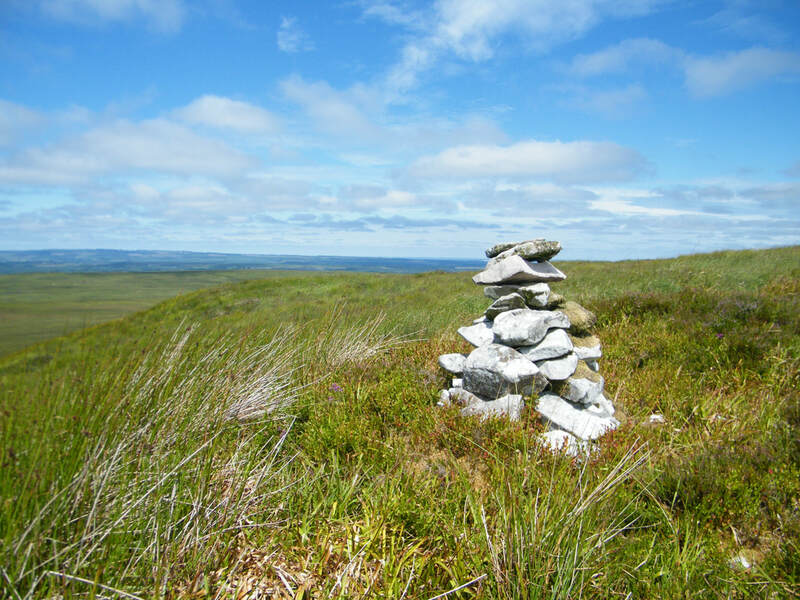 This was followed by a rougher path and finally a bog crossing to the trig pillar. We had great views toward the Cliffs Of Moher and the Burren from the top. We took a slight shortcut on the way down and were back to the car within the hour. 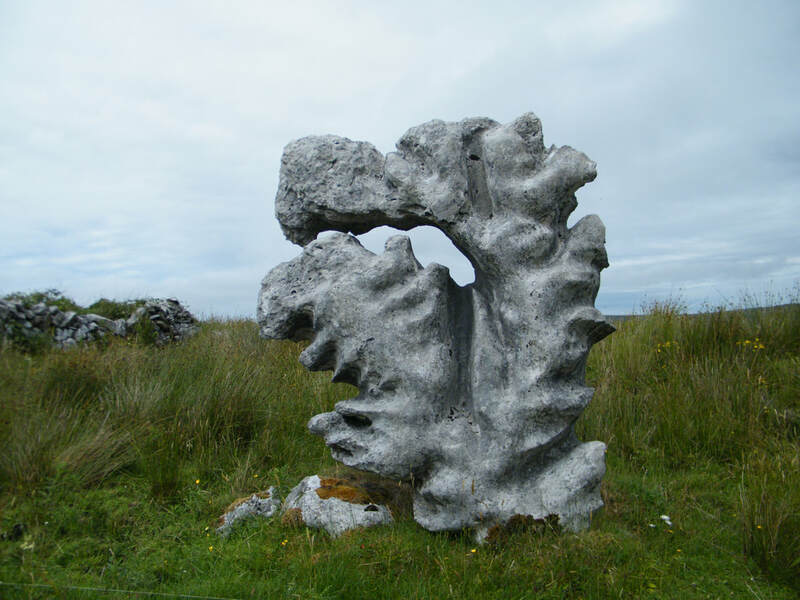 Our final walk for the day was Slievecallan which brought us back close to Ennis via Ennistimon, Lahinch and Miltown Malbay. Recent works on a wind farm meant it was difficult to see which route we should take and found ourselves struggling across some very rough bog terrain as a result. Mist restricted our views at the summit and being late in the evening at this stage we didn’t hang around. Luckily we found the proper route beside an old forest for the decent. Happy to find this trig pillar! We all enjoyed the 4 High Point adventure clocking up over 200km by car and 22km by foot. Maghera was another Minor Gribbon completed for us and having previously done Moylussa and Woodcock Hill, Dillon and I have now covered all the major High Points in County Clare. More importantly we had a total of over 1,500m towards what was now almost a 20,000m Challenge for Barretstown.